Took a walk through town after dinner tonight. There are many old homes that date back to the late 1700's. We're located very close to where George Washington crossed the Delaware River on December 25-26, 1776. Every Christmas there's an large live reenactment of that historic event! That is really nice to see. Lovely shot. Very patriotic indeed, lovely splashes of colour from the flags. We don't tend to put flags on our houses here in the UK. 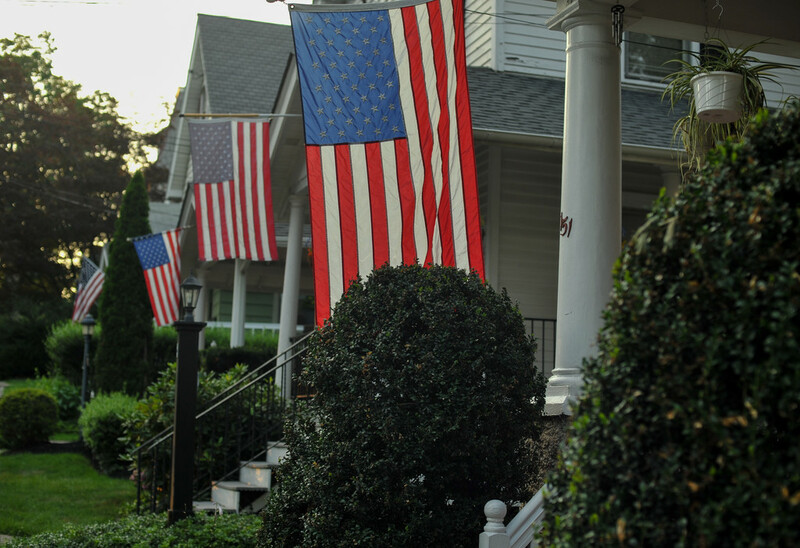 Those traditional old homes look magnificent with the flags.